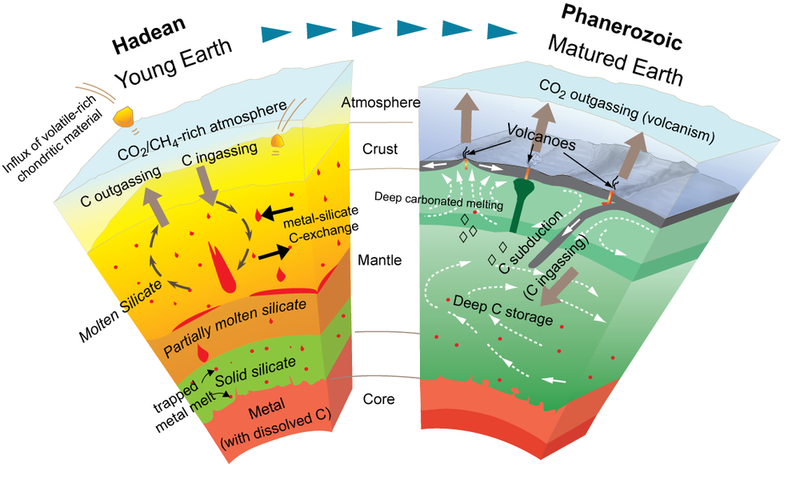 We are interested in the chemistry of Earth and planetary interiors with a particular emphasis on the role of melt and mineral chemistry on the differentiation and chemical evolution of terrestrial planets involving atmosphere, crust, mantle, and core. 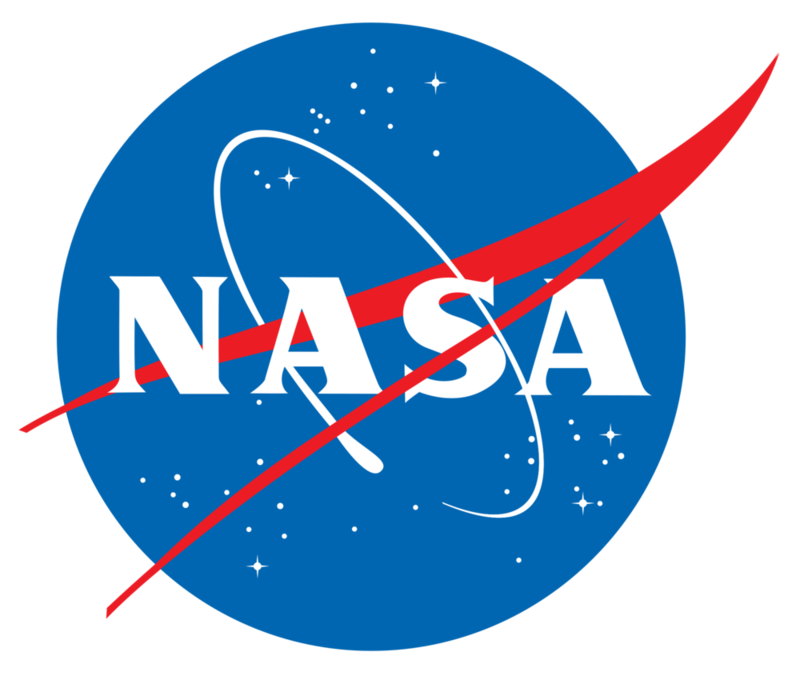 Many of our research projects use laboratory experimental devices such as piston cylinder and multi anvil apparatus for simulating high pressure-temperature conditions relevant for planetary interiors and various analytical techniques to characterize synthesized or occasionally natural samples. We continue to add new analytical techniques to the repertoire of methods to characterize our experiments but some of the micro-analytical techniques we regularly use now are EPMA, SEM, SIMS, LA-ICP-MS, FTIR, Raman spectroscopy, and XRD. In addition to conducting new experiments, we also make observations in existing data of natural rocks and experiments and conduct modeling. The objectives are to determine, for example, solidus and liquidus temperatures of rocks at high pressures, the composition of partial melts (magmas) formed at high pressures, the partitioning behavior of major and key trace elements between minerals and melts during partial melting process in the mantle and melt-mantle reaction, and the speciation and concentration of volatile elements (e.g., C, H, N, S, halogens) in magmas to understand petrogenesis and differentiation. Basically, we use small-scale experiments to solve large-scale problems. Although we spend most of our times fiddling with small experimental assembly parts, squeezing a pinch of rock powders in the lab, and staring at data sheets or codes, our minds are always buried deeply in the mantle, core, and crust of the Earth or meandering through processes of planet formation and deep time processes. The current and past research activities led by our team can be grouped into the following three themes – Modern Earth Processes, Early Earth and Deep Time Processes, and Planetary Science. Depending on the exact nature of the question we seek to answer there may be crosscutting themes. Plus the specific projects are constantly evolving as every new researcher in the group take us into different lines of investigation. Experiments simulate the dynamic conditions of modern processes on Earth such as melting in the mantle and the cycling of volatile elements like carbon and sulfur from the surface to the interior and back again due to via plate tectonics and volcanism.. Experimental investigation is necessary to understand processes that occurred during Earth's early life, which have long been reworked or erased, such as differentiation (core, mantle, crust) and how these layers have interacted and evolved throughout time. 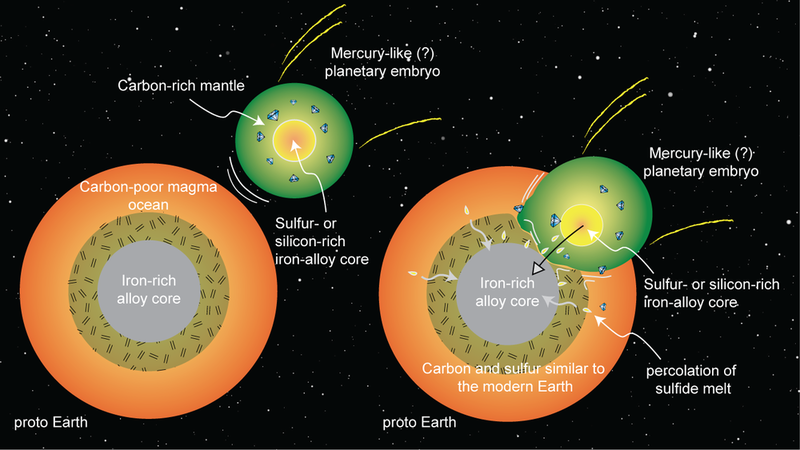 Experimental work can help determine how Earth and other rocky planetary bodies formed during the initiation of our solar system and beyond, including initial coalescence, accretion and impacts, and differentiation, with attention to volatiles.